In coil tension set 18K Ultra White Gold wedding set. 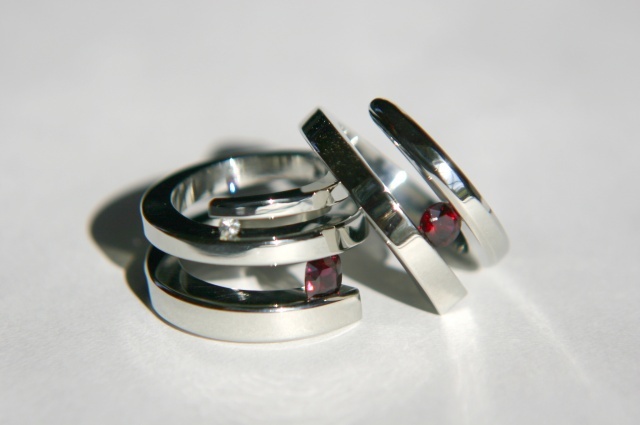 Each ring has a tension set Red Pyrope Garnet. The womens wedding band has an addtional tension set White Sapphire.